CSIRO has signed a new, $AUD35 million research agreement with the world’s largest aerospace company, Boeing. Over the next five years the organisations will work together on a broad range of areas of mutual interest including space sciences, advanced materials and manufacturing. It's the latest step in a 28-year partnership between CSIRO and Boeing that has provided a huge boost for Australia in the global aviation industry. CSIRO Chief Executive Larry Marshall announced the new funding agreement at the American Chamber of Commerce in Australia’s G’day to Aussie innovation event in Sydney today. "With almost three decades of ground-breaking research that has created jobs and growth for Australia and the US, it’s hard to overstate the impact that our relationship with Boeing has had," Dr Marshall said. "Adopting a global outlook for national benefit is a key pillar of CSIRO’s Strategy 2020, and it’s an approach that has yielded enormous benefits through our relationship with Boeing." Earlier this month, Boeing named CSIRO as a 2016 Supplier of the Year. "Boeing celebrates 90 years in Australia this year, and for nearly a third of that time, we’ve partnered with CSIRO on advanced technologies that have made a real difference to the aerospace industry," President of Boeing Australia, New Zealand and South Pacific, Maureen Dougherty said. "We're excited to see that relationship move forward as a result of this new multi-year agreement." CSIRO and Boeing celebrated their respective centenaries in 2016. Over the years the organisations have invested more than $AUD170 million on 190 joint research projects into everything from innovative new manufacturing processes, to fire retardants, biofuels and software. CSIRO's "Paintbond" technology, for instance, has been applied to more than a thousand Boeing airplanes, including some in the skies above Australia, saving millions of dollars in maintenance costs. The strong relationship with CSIRO was a key factor in Boeing choosing Australia as the location for its largest research and development operation outside the United States. "We are proud to have worked with Boeing so closely and for so many years, helping them to deliver profound value to their customers." Dr Marshall said. "Our relationship is a real success story of science partnering with industry to create impact, and we’re looking forward to growing that impact even further in the coming years." 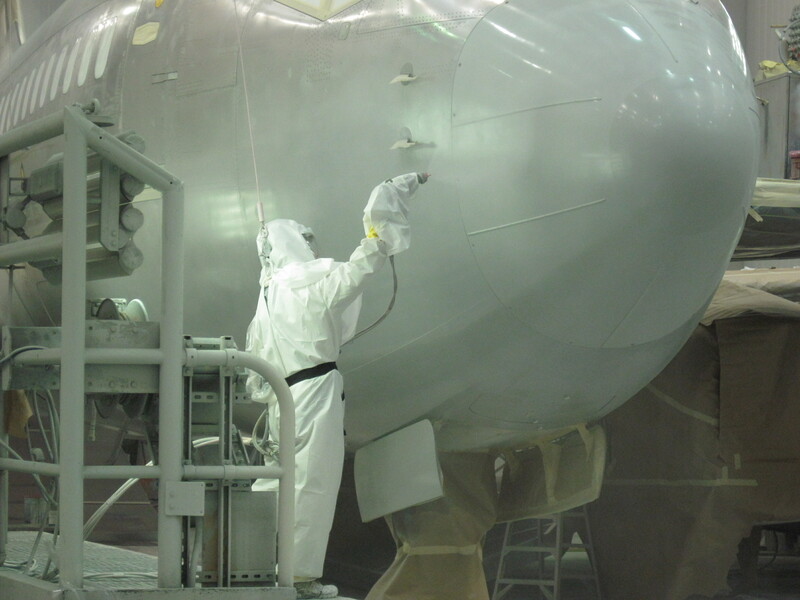 Sprayon topcoat for aircraft. Our costeffective topcoat technology is reducing environmental impact and improving worker safety in the aviation industry.